Because it’s so hard to measure, people tend not to think of word-of-mouth as a product feature. But it can be designed for and optimized, just like anything else. Television has been designing and engineering word of mouth virality for years. This essay is about how to do it in software. Specifically, I want to talk about a tactic that was once prevalent in television that is now beginning to resurface in software: the watercooler moment. Word of mouth virality is driven by watercooler moments – experiences that are so memorable that you can’t wait to talk to your friends about it at the watercooler the next day. 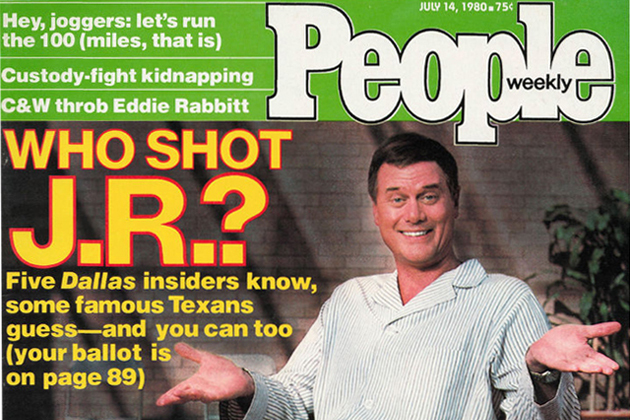 In 1980, CBS used the advertising catchphrase “Who shot J.R.?” to promote the TV series Dallas. Viewers had to wait 8 months to find out the answer. A session of Turkish Parliament was even suspended so that legislators could get home to see the answer revealed. It was the highest-rated TV episode in US history, with 83 million people tuned in to discover what happened. When Ellen DeGeneres came out as gay, there was rampant speculation about whether her character on her sitcom Ellen would come out as well. And she did, in an award-winning episode in April 1997 that generated enormous publicity and a nationwide conversation. The episode was the highest-rated episode of Ellen ever, with 42 million people tuned in to see the event. During the live broadcast of Super Bowl 38’s halftime show, Janet Jackson’s chest was exposed during a dance routine with Justin Timberlake. The moment, which became the most watched moment in TiVo history, resulted in 540,000 complaints to the FCC, “Janet Jackson” becoming the most searched phrase of 2004, and the phrase “wardrobe malfunction” entering the popular lexicon. That fact that moments can be planned or scripted doesn’t make the emotions they create any less genuine. Watercooler moments transcend the boundaries of their medium, sparking conversations in the real world to become communal experiences. People are social animals. We have an instinctual desire to tell stories. Stories help us make sense of the world, share useful information, and reinforce bonds. They are the currency of human connection. 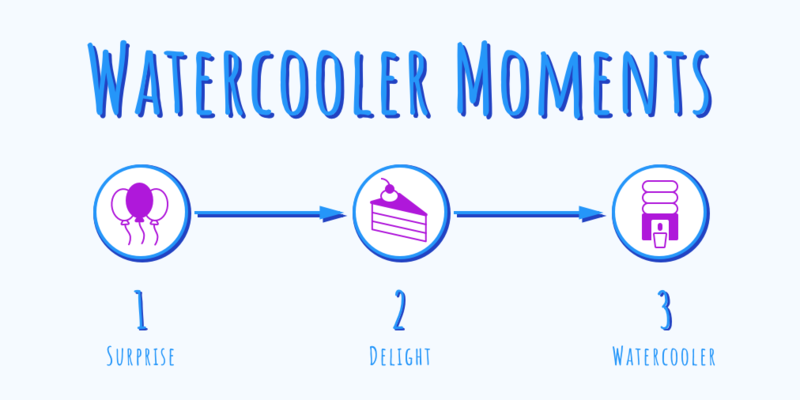 Watercooler moments turn a one-off event into a communal experience. People retell the story, share the story, interpret the story, discuss and argue its meaning. Interesting drama involving interesting participants provides endless fodder for discussions of motivations, ethics, and morality. So creating a compelling story is the first step in creating a water cooler moment. But since you (a software developer) presumably have no script or characters to rely on, it means your app itself will have to create the story on its own. Unexpected emotions create compelling stories. The more unexpected the event, and the more extreme the emotion, the more powerful the desire is to share it. Any extreme emotion will get people talking. But while negative ones (outrage, anger, disgust, etc) are exploited to great success by the media, they’re generally not emotions you’d like your product to generate. So for now, let’s focus on tactics that generate unexpected moments of delight. Emotions don’t necessarily have to be that extreme. Case in point: the little blue yeti that occasionally pops his head up after you move a card in Asana. An unexpected moment of delight can be enough to get people talking. Unconvinced? Just search for “asana narwhal” on Twitter. This is the only example I’ve included from gaming, but it’s my favorite due to both the intensity of emotion and the intentionality behind its design. 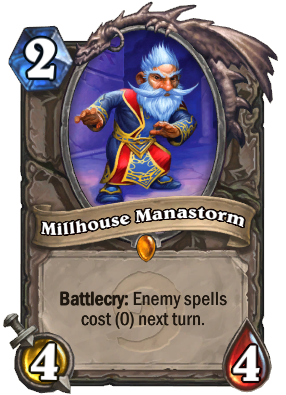 To intentionally engineer watercooler moments, Hearthstone’s designers created a number of cards (such as Millhouse Manastorm, shown below) with probabilistic effects that would, on rare occasions, completely change the course of the game in a spectacular way. Dramatically snatching victory from the jaws of a punishing defeat (or vice versa) is the sort of intensely emotional experience that you can’t help talking about, no matter which side of it you were on. Zappos uses exceptional customer service to create memorable moments for their customers. Sometimes these stories are so powerful that they even make the news, like overnighting a pair of shoes to a wedding for free because the original pair was routed to the wrong location. Some apps are fortunate enough to generate watercooler moments naturally. Tinder grew to 50 million users in 2 years through word of mouth by allowing people to get laid (or at least matched) on-demand without fear of rejection. ClassDojo (shameless plug: come work with me!) has also grown entirely via word of mouth. It surprises and delights teachers by solving problems they previously considered intractable: creating classroom community and growing parent involvement. Now ClassDojo is used in 90% of US schools, entirely through organic word of mouth growth. To create watercooler moments, find opportunities to design experiences that are extremely unexpected (e.g. an albino giraffe), extremely delightful (e.g. flying first class), or both (e.g. a surprise party). The simplest way to introduce unexpectedness into your product is adding some kind of probabilistic event. The celebration monsters in Asana, for example, don’t appear every time a card is moved. If they did, they would be expected and therefore boring and unworthy of comment. Slack uses randomness to great effect with its randomized loading messages. 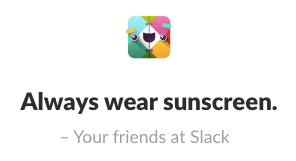 It’s little touches like these lighthearted random messages that let Slack inject personality and delight into a corporate productivity tool. Another option is using user behaviors, particularly ones outside of core usage. Could something interesting happen if a user accidentally swipes instead of taps? Maybe some parts of the UI that don’t look interactable are actually responsive. Or maybe there’s some easter eggs for your users to discover. Real world events are also good opportunities to deliver unexpected experiences. This is becoming common enough that it doesn’t have the impact that it used to, but it still gets users talking to see snow collecting on the UI during the holidays, or rainbow trails during Pride, or pumpkins on Halloween. A classic way to create delight is though UX and visual polish. While a baseline level of polish and usability is expected in any app these days, taking your polish to a level above and beyond is a great opportunity to create delight. Fabulous is one recent app that made me feel that sense of delight. Its clean yet whimsical UI was so enjoyable to use that even my non-designer friends couldn’t stop talking about it. There are countless tactics beyond visual polish to “juice” up the delightfulness of an experience, but animations, particle effects, and cute characters are always safe bets. Personalization is another great way to surprise and delight a user. In a world where we’re used to being on the receiving end of impersonal corporate emails, a message will stand out if it is clearly written to me personally, with empathy and understanding for my personal and unique situation. Alternatively, you could delight users by getting personal on the sender side, if you’re willing to open up, get personal about yourself, and send an authentic personal email from you and not just a faceless company. 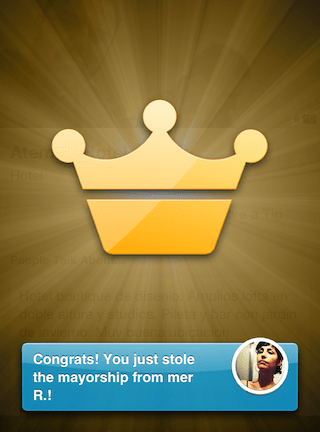 Finally, recognizing your users’ accomplishments is a great way to delight them. If a user does something exciting in your app, help them celebrate! Maybe they just made their first post, maybe they returned to your app after a month away, maybe they discovered emojis for the first time. Realize that many actions that seem mundane to you still feel like big accomplishments to your users, so help them celebrate! Pop a congratulatory message, shower them with confetti, send them a certificate of accomplishment, or something else creative. To grow word of mouth, delight users in surprising ways. Find opportunities to increase delight or increase surprise until people can’t stop talking about you.